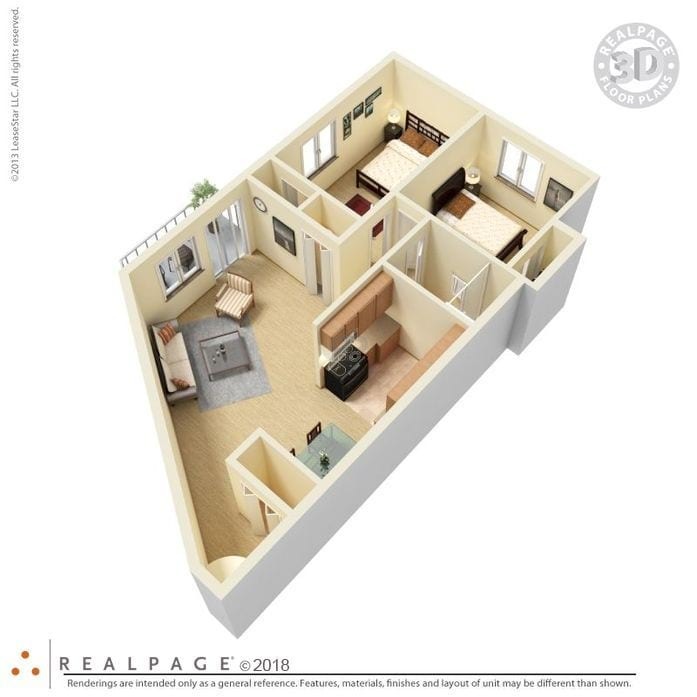 This floor plan has two bedrooms and one bathroom and a private balcony. There are W/D connections in all floor plans. Various units have mountain views or view of the pool area. 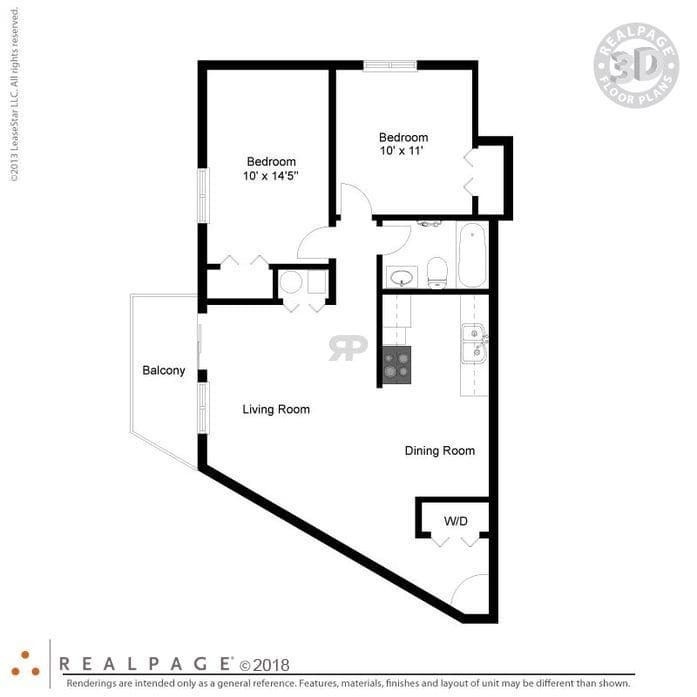 This floor plan applies to the units on the second and third floors.